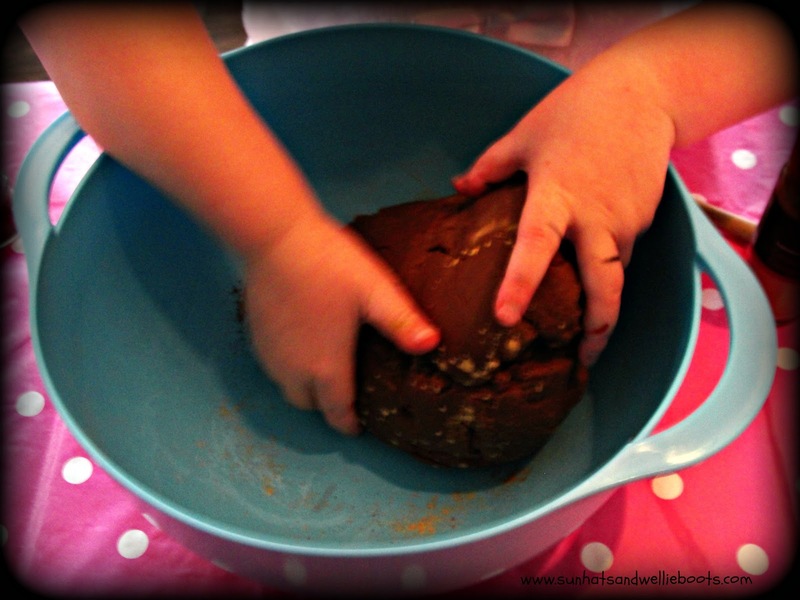 Yesterday was Stir Up Sunday, the day traditionally you make (& stir) your Christmas pudding! So we made our Christmas pud & each made a wish as we stirred the ingredients together. 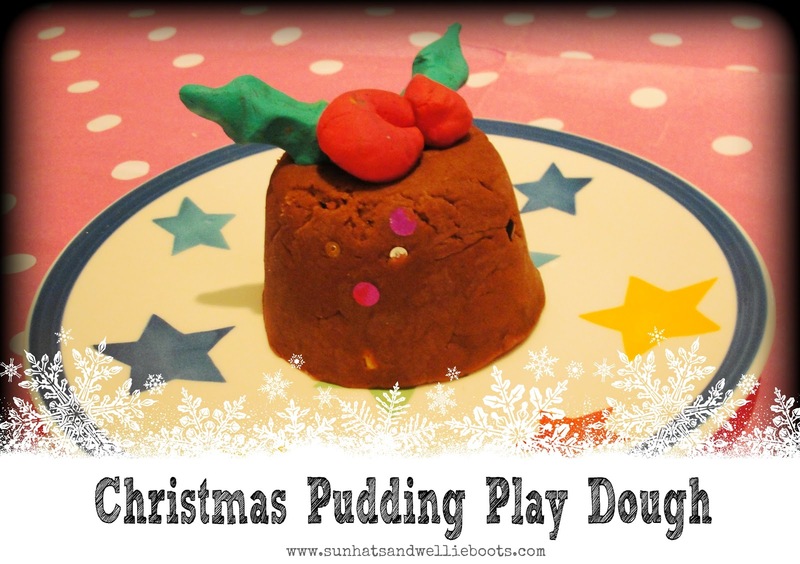 Minnie isn't a big fan of this classic Christmas dish, so instead, we decided to create Christmas Pudding Play Dough! We created an impromptu version last year, but with a little more planning this year we came up with this aromatic version! 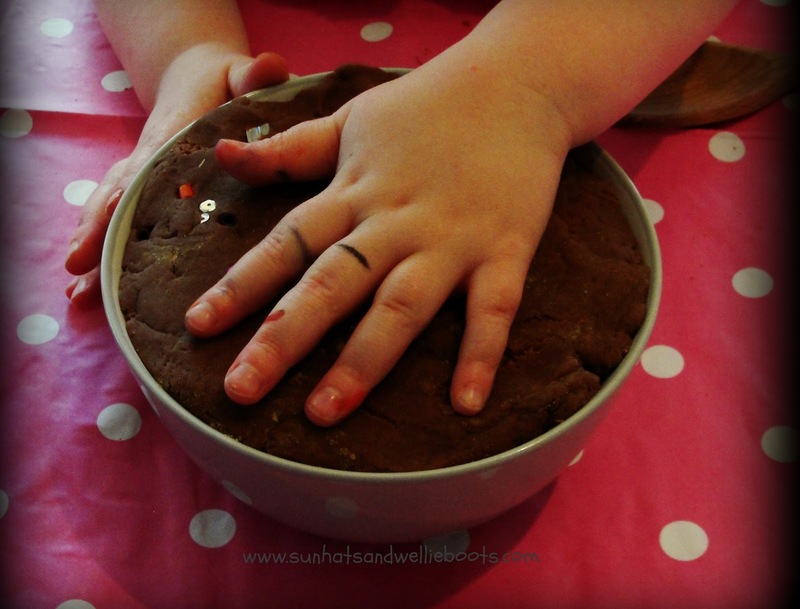 We mixed the dry ingredients together in a large bowl, & then added the oil before gradually adding the water. 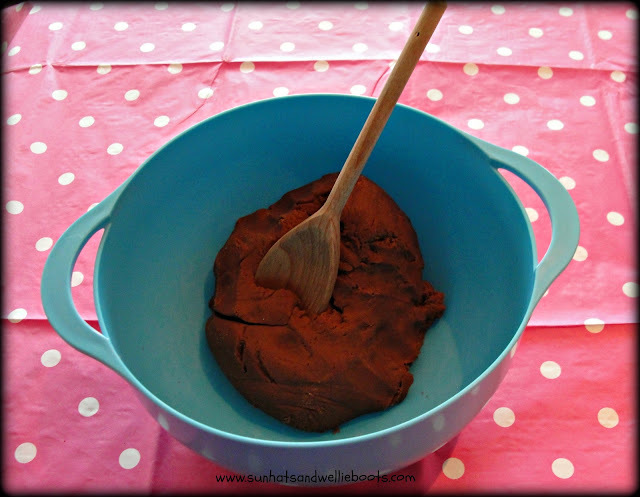 Mix together with a spoon, before kneading it into a dough with your hands. She obviously enjoyed this, & added more & more! 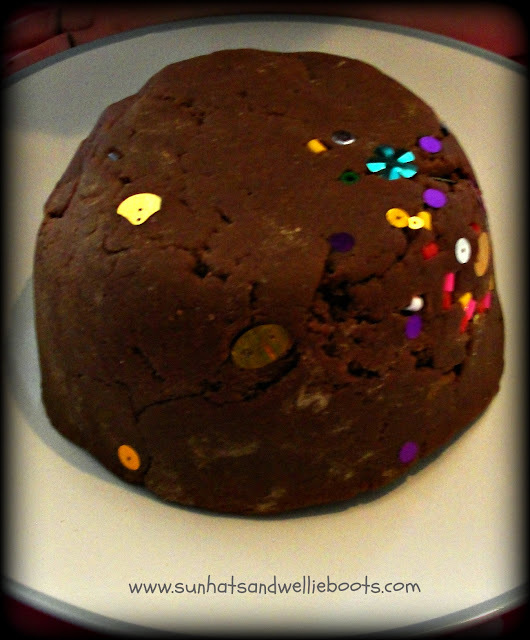 Soon the kitchen was smelling like a spice factory, & I was wondering if the play dough would start to dry, but amazingly it retained its original consistency. 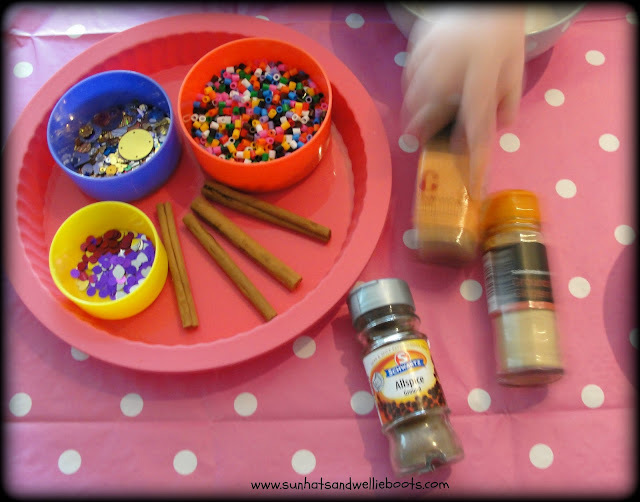 I set out a few 'alternative' ingredients which could be added to the dough; hammer beads, sequins, glitter, & cinnamon sticks. 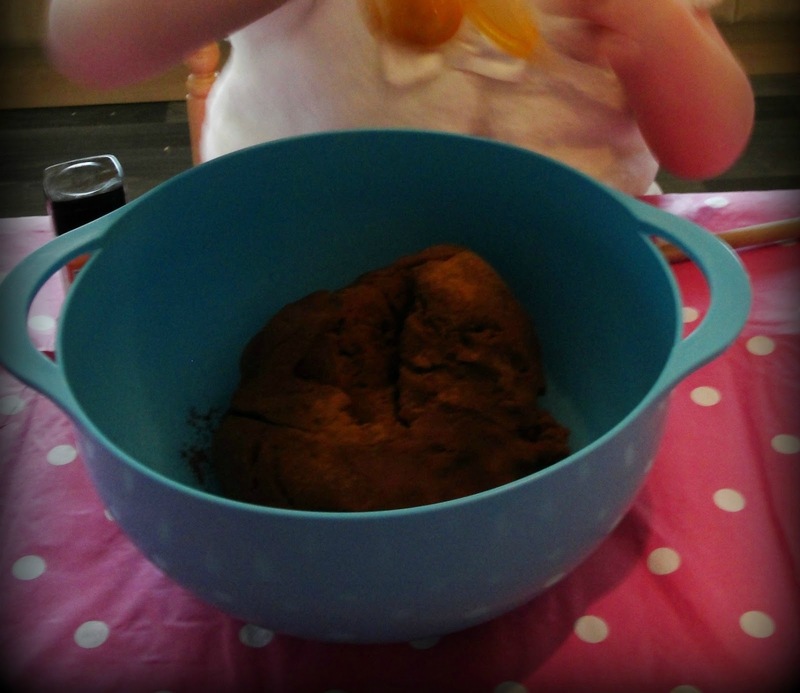 I purposely didn't suggest which ingredients they could represent, instead Minnie & I looked up a Christmas pudding recipe together & she decided what they could be. 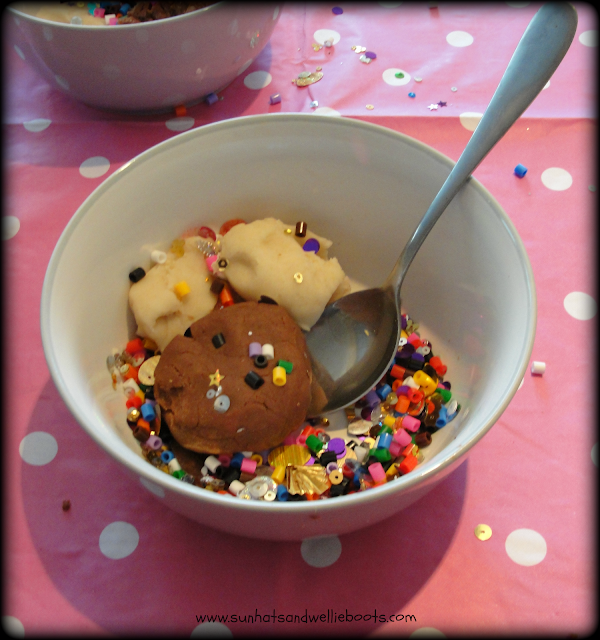 She also added a few extras; small coloured pebbles, & different coloured glitter. 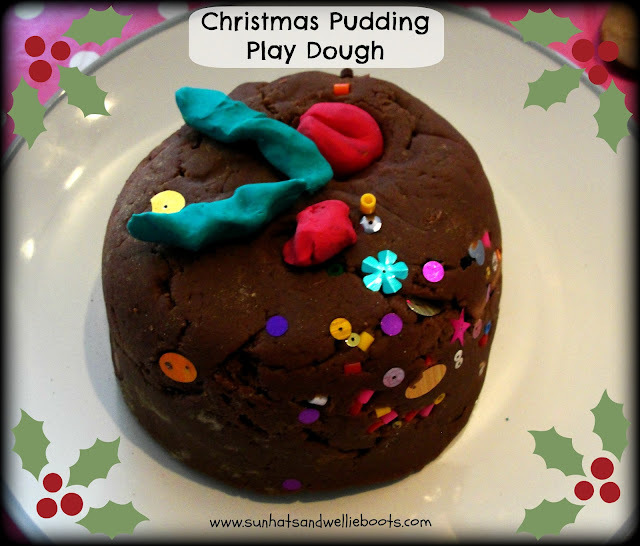 I wish you could smell this play dough, the scent is just so Christmassy! 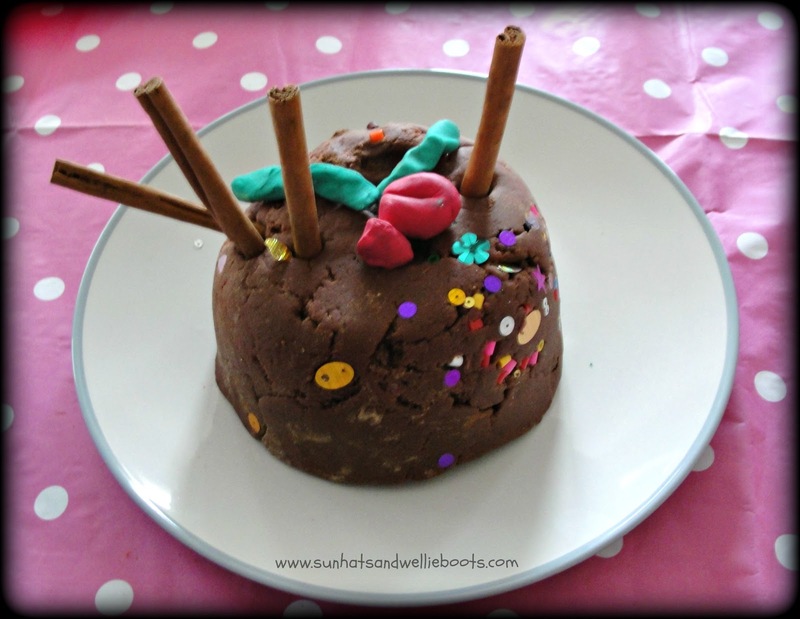 Minnie used a bowl to make a dome (pudding) shape & then set to work decorating the top! I love her play dough holly berries & leaves on the top, & I think you'll agree the cinnamon sticks add a certain something to this pud! 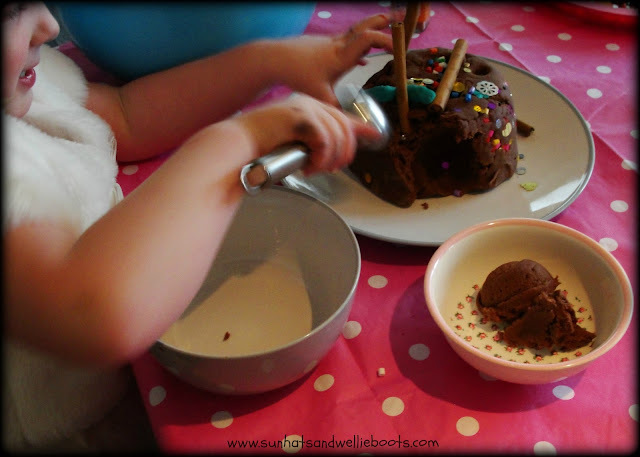 She dished the pudding up for her toys, & added some 'ice-cream' play dough that we had left from our owl ice cream. 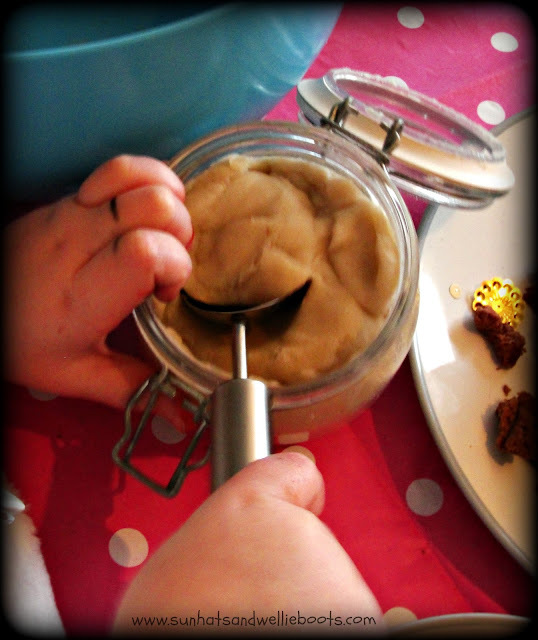 A few 'sprinkles' were added to the pudding & it was ready to serve to hungry toys! This is a treat for the senses, & a great way to explore a traditional Christmas dish, even if you don't like the taste of the real thing!